Do you have the skill and ingenuity to run the Sheriff’s Gauntlet? The Sheriff of Nottingham is throwing down her Gauntlet to the people of Nottingham an as ancient tradition is revived for the amazing conclusion to GameCity9. On Saturday 1 November people of all ages and abilities will put themselves through trials of skill and ingenuity, as did generations of peasants before them, in an attempt to win the Sheriff’s favour. The Sheriff’s Gauntlet is a new, free annual family event for Nottingham. It draws on a centuries-old tradition when the citizens of Nottingham were invited to compete in mental and physical trials that the Sheriff devised, testing their agility and guile in order to better themselves. 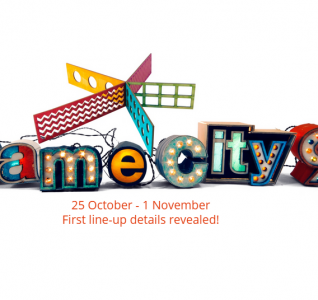 GameCity is working with the Sheriff of Nottingham to create a fun-filled afternoon for everyone. 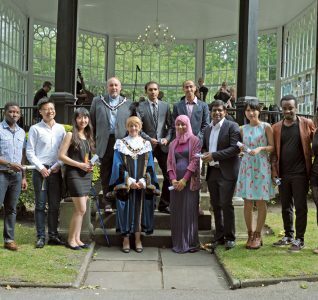 At 3pm, following the performance of a specially composed Sheriff’s fanfare by MINECRAFT composer Daniel ‘C418’ Rosenfeld, the Sheriff will appear on the Council House Balcony to address the players and start the trials. From then every player, with their own unique set of instructions from the Sheriff, will set off into the City to complete the trials they have been set and discover new ones along the way. Trials will take place at special locations including the grounds of the Castle, the Royal Concert Hall, Nottingham Contemporary and many other extra-special secret locations. Players might even find themselves on the pitch at half-time during a Saturday fixture. At 5pm, players will return to the Market Square and the Sheriff will announce the winner – who will receive an amazing prize: a square metre of Nottingham that will be dedicated to them FOREVER! 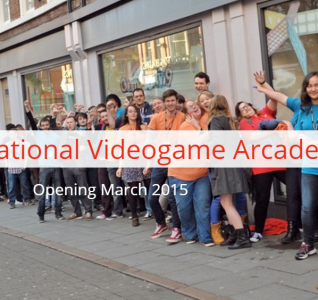 We’re incredibly excited to be working with the Sheriff on this unique new event for GameCity. The Sheriff’s Gauntlet is for everyone – no matter who you are, you’ll get a set of fun trials that are tailored for you. The Sheriff is working very hard to make this as accessible as possible! said GameCity director, Iain Simons.